Waking up after my first night in Australia was surreal! The birds outside made it seem as though I were waking up in the middle of a jungle, the weather was warm—hot, even (a welcome change after Utah's Winter), and yet, I was surrounded by family. This was my first time traveling abroad with family, and it made me feel at home, even though I was on the other side of the world. 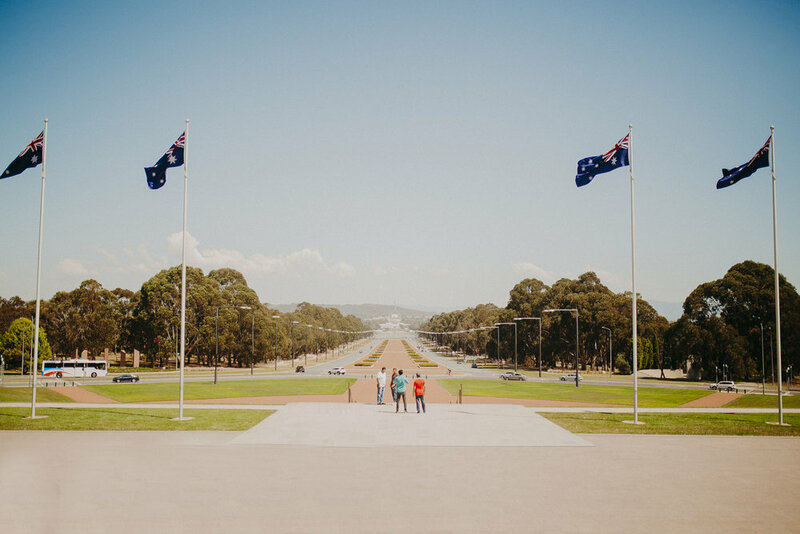 On our first day, we decided to go explore The Australian War Memorial and Lake Burley Griffin. The memorial is beautiful, and learning about the wars that have changed the entire world, from a new perspective, was so interesting. Of course, our favorite part was the children's section, where the kids are able to learn in a more interactive way—including "flying" a helicopter, learning about "trench foot", and even practicing Morse Code. 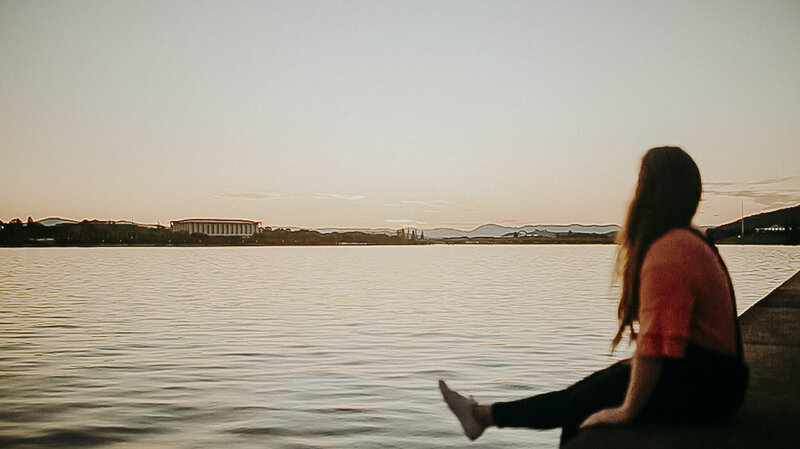 After the memorial, and some delicious dinner at Grill'd, we spent our evening at Lake Burley Griffin. I learned quickly that Australia has some of the best sunsets in the world—which was great news, as sunset is my favorite time of day! We all sat on the waters edge, and watched as the bats who live in Mt Ainsley took to the sky for their evening feast, and the city across the water lit up against the darkening backdrop. Notice the black dots in the sky? They’re bats!